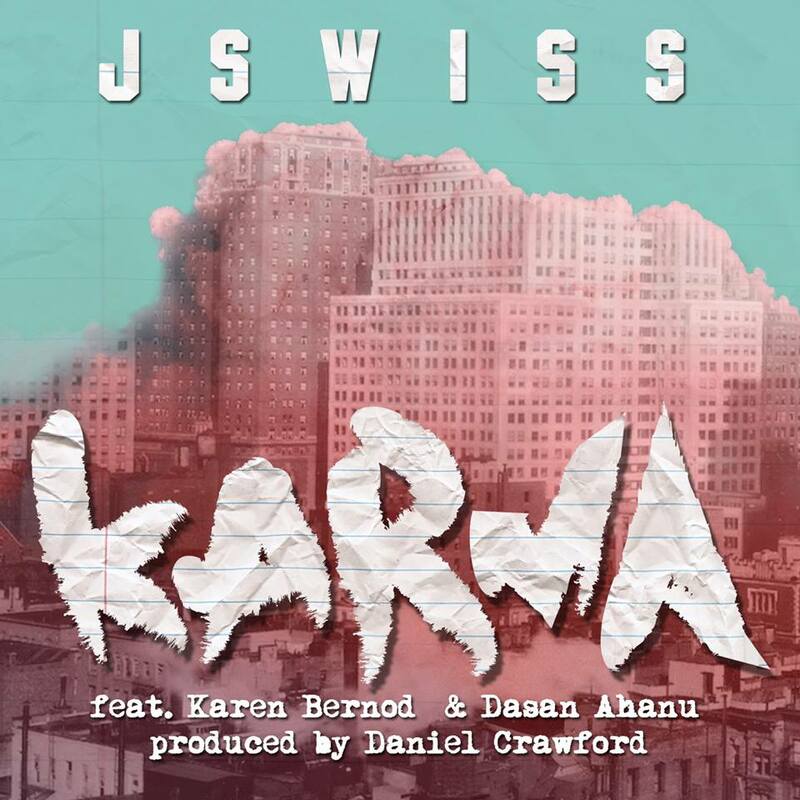 “Karma” is the first single off of JSWISS’ upcoming ALLCAPSNOSPACES EP, which is dropping this summer. Produced by Jazz/ R&B keyboardist Daniel Crawford (played with Raphael Saadiq, Omarion, etc. ), this soulful track takes on serious issues and speaks to and for those who truly need a voice. Driving home the message on the hook and bridge is Karen Bernod, a talented, veteran singer who has sung with the likes of Chaka Khan, Erykah Badu, Mary J. Blige and D’Angelo. And to top it all off, spoken word artist Dasan Ahanu, an accomplished poet and teacher, personifies Karma in a moving piece that will reveal an increasing amount of hidden gems the more times you listen to it. Enjoy and also know that brand new JSWISS t-shirts are available right HERE.